Pharmaceutical Serialization | DSCSA Serialization Requirements | Innovatum, Inc.
New pharmaceutical serialization requirements under the Drug Supply Chain Security Act (DSCSA) will affect you as a manufacturer, repackager, wholesale distributor, dispenser, or third-party logistics provider. ROBAR is the premier enterprise labeling system bringing companies up to speed in the light of emerging DSCSA compliance needs. Its built-in ability to create and manage randomized serial numbers makes it ideal in tackling pharmaceutical serialization challenges. 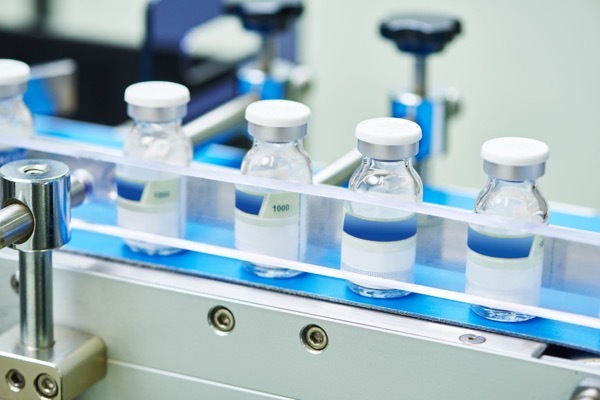 When it comes to pharmaceutical serialization, ROBAR stands alone in its Life Sciences specific ability to manage labeling and serialization in an integrated and robust manner. Extensive and auditable history in an easily interconnected relational database facilitates the investigation of suspect product pedigrees. Already in operation at some of the largest pharmaceutical companies in the world, ROBAR manages all aspects of regulated labeling, including version control, 21 CFR compliance, etc. ROBAR has an infrastructure for communicating with the U.S. FDA and external business partners through automated machine to machine communication. Once the requirements and infrastructure for reporting serialization data has been finalized, Innovatum will build the plug-ins necessary for updating serialization data into global databases. The solution can be implemented either as an on-premise installation or on the ROBAR Online infrastructure in the cloud. Contact Innovatum for additional information about complying with DSCSA mandates.